Communicate. Collaborate. Conquer. 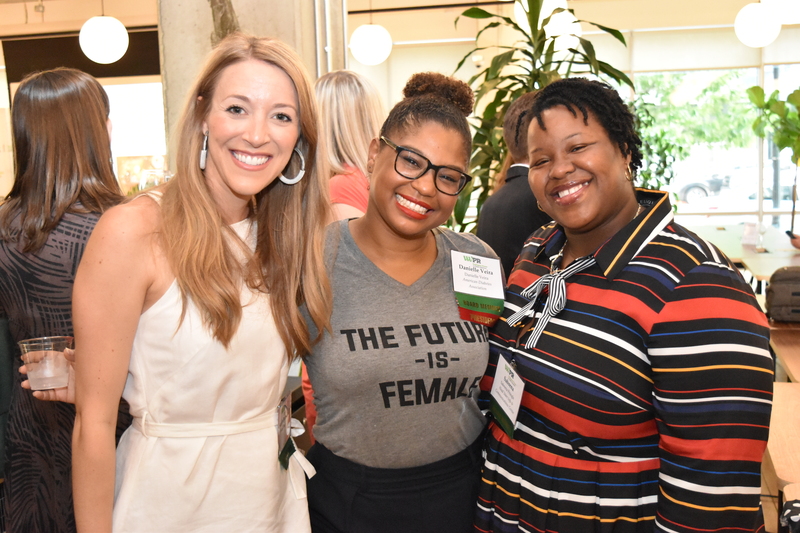 Attendees were living out the 2018 Emerging Leaders Awards (ELA) theme during the reception, Tuesday, May 15, as they networked, heard from industry leaders, and—of course—celebrated the six very deserving young women who were honored for their work spanning different industries. 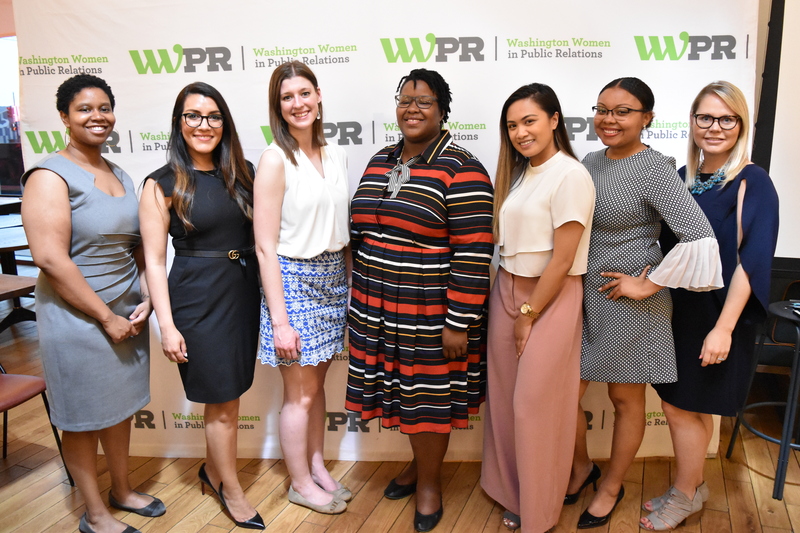 WWPR President Danielle Veira kicked off the event by impressing how important it is to highlight women early in their career and sharing how proud she was to expand the breadth and reach of the ELAs this year to include a wider variety of women in different aspects of PR and across a range of industries. 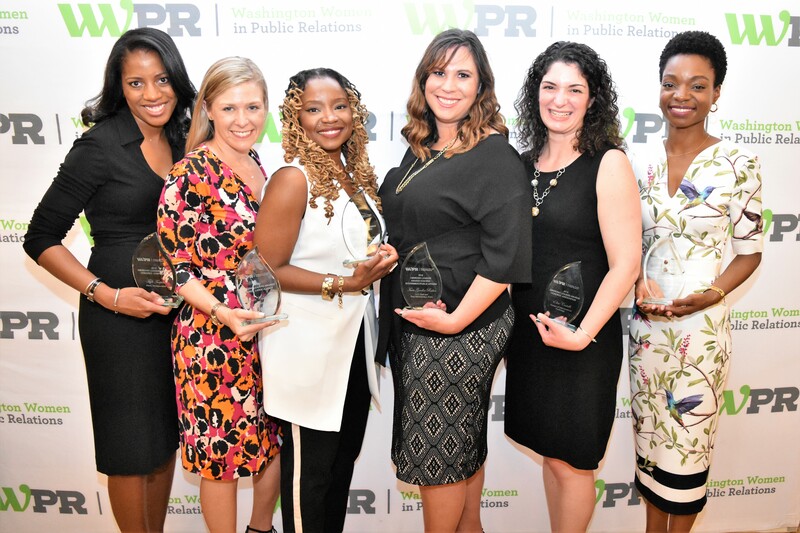 She emphasized the many other roles the finalists play, including as mothers, volunteers, and advocates. 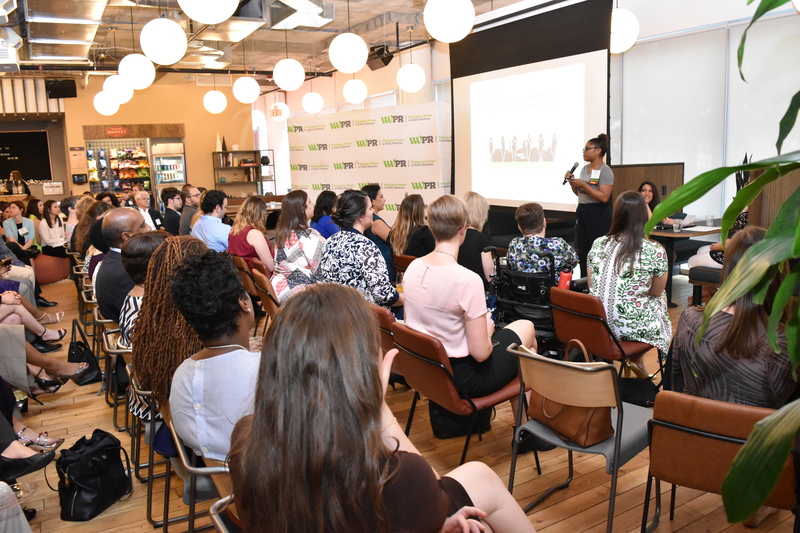 Next up was a Q&A session with Cameron Hardesty, head of merchandising at UrbanStems, moderated by Barbara Martin, co-founder and co-CEO of BrandlinkDC. Cameron described what living out the ELA theme—Communicate. Collaborate. Conquer.—means to her: writing persuasively, respecting strengths and weaknesses, and listening to your champions and inspiration. 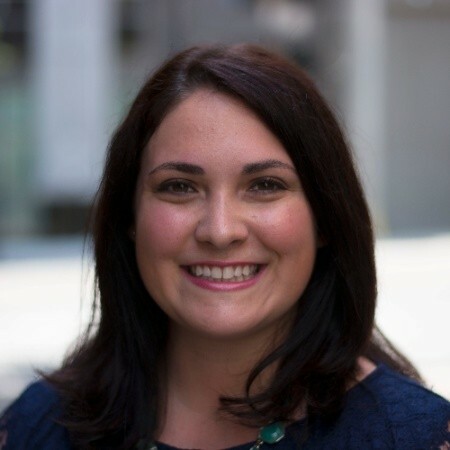 Cameron described her path to her current startup as long and winding, starting with government work. 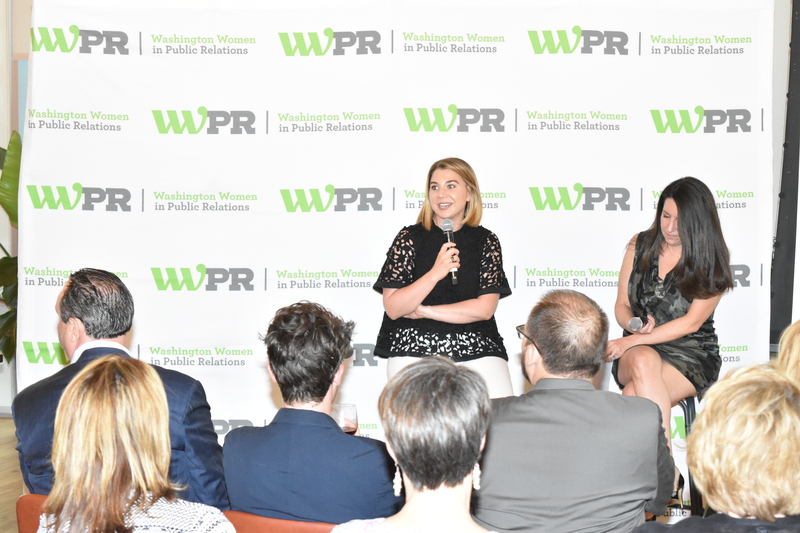 As part of her role as executive assistant to a chief of staff, she followed her nose to public affairs—and the White House flower shop where the seed of creativity was planted. 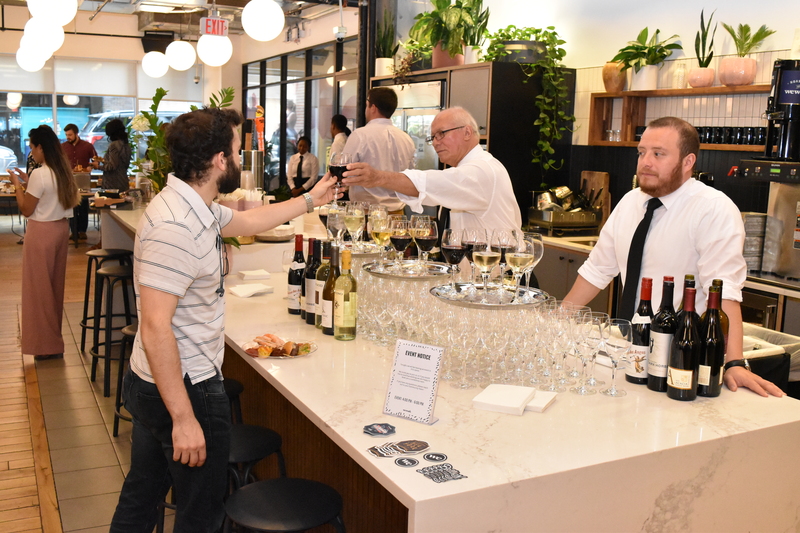 Cameron also talked about life in a startup: trying on different hats and accepting what she didn’t know, but always keeping in mind her true north, and following her father’s advice to ensure that her function is a revenue driver for the organization. 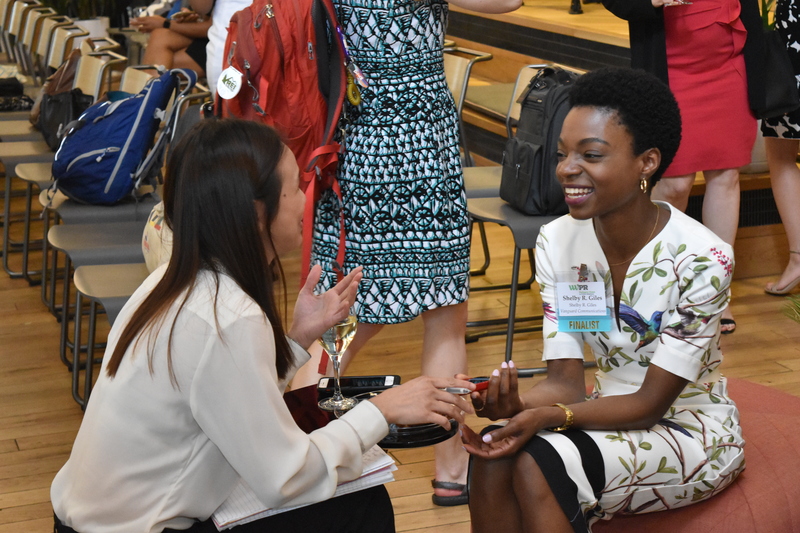 Especially at a startup, her philosophy on work-life balance has led her to integrate aspects of her role and internal motivation to continue pursuing something she loves, which she’ll also apply to her end goal dream of becoming an entrepreneur. 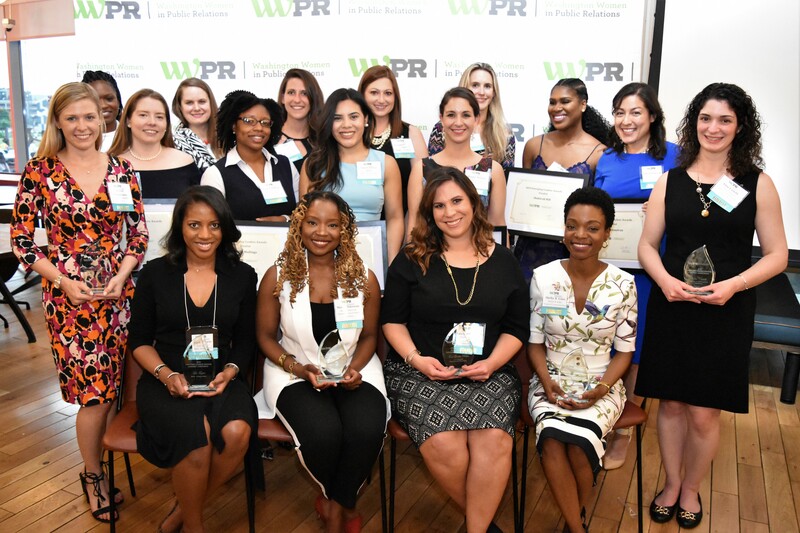 For the final portion of the night, we recognized the amazing women who are the 2018 ELA winners—a major accomplishment for those early in their career. 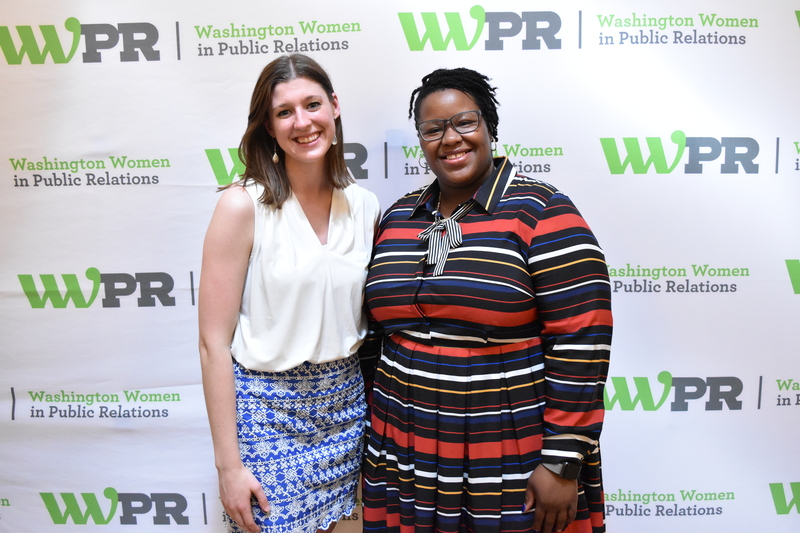 The ELA Committee Co-Chairs Sabrena Pringle, social media and communications lead at Head Start Information and Communications Center, and Sara Tuman, senior insights specialist at Social Driver, introduced the eighteen finalists and announced the six honorees, and shared that this year’s awards committee had reached the highest number of nominees ever. 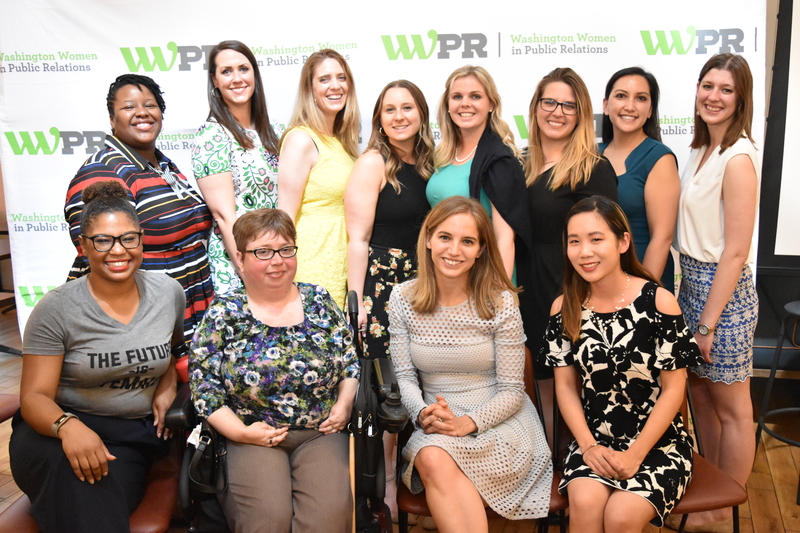 All-in-all, it was another successful night for the WWPR community, but especially the recognized emerging leaders who will continue to communicate, collaborate, and conquer.